The strength of NACRAO is in our membership. Sign up today to join one of our many committees. Committed to educating Nebraska’s residents about the opportunities, benefits, processes and procedures associated with higher learning. The purpose of this non-profit association shall be to promote the advancement of higher education in its fullest and broadest implication. 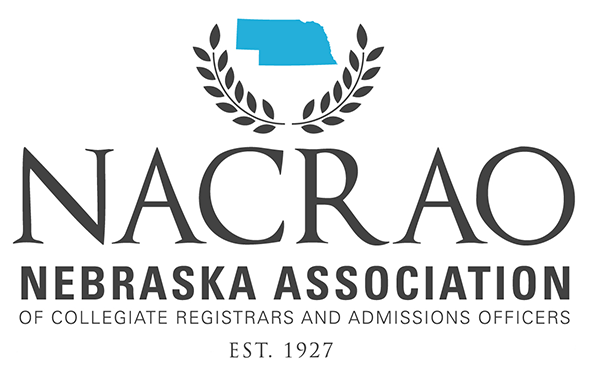 NACRAO shall aim specifically to advance professionally the office or offices of admissions, registration, records, institutional research, and closely related functions in institutions of higher education in Nebraska. Any educational activity directed toward the attainment of this aim is within the purpose of this Association. Members are affiliated with over 60 public, private, two-year and four-year institutions and organizations associated with higher learning and advanced training in and around the state of Nebraska. NACRAO provides the chance to connect with others when you have questions or need ideas on how to approach a challenge or incorporate a useful new concept, process, or procedure. Throughout the year, NACRAO and its affiliates sponsor many professional and social events. Please use the calendar below or the links to the right to help locate events throughout the year.